However as u ca see I like to write a lot. I'm also releee picky with my joural selection, I just used the last pages of a black soft cover 3.5 x 5.5 moleskine and I wanted something similar so in a pinch and about to travel I bought the cheap last minute emergency blue notebook from kmart but I dun wanna write my thoughts down in something that looks like that ^-^ so I found the purple one from kmart cuz I did NOT feel like going to barnes n nobles specifically for a journal...too cold AIN'T NOBODAY GOHT TIME FOH DAT!!!! 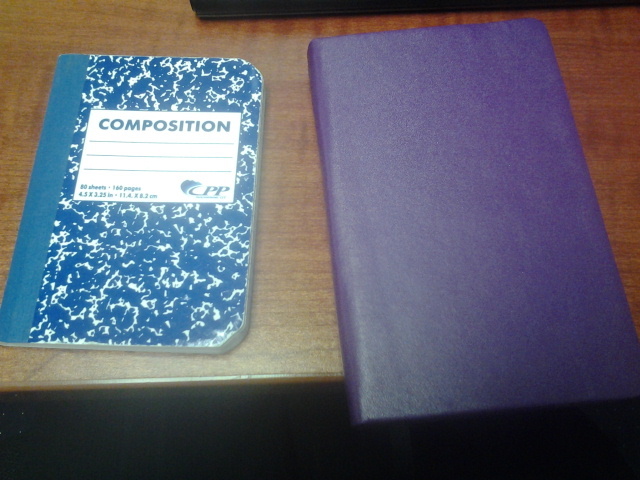 I like the purple barney journal tho its cute the stationary is nice.